Head out into the Icelandic night for an adventurous northern lights ATV tour that includes pickup and drop-off at Reykjavík hotels, hot drinks, and all equipment. Ride alongside Lake Hafravatn and Mount Hafrafell, find panoramic views over Reykjavík and Mosfellsbær, and search for the northern lights above a rugged landscape. Begin with pickup at your hotel in Reykjavík, then travel to an ATV base camp, where you'll suit up with safety equipment, then begin riding at 9:30pm, prime time for catching a glimpse of the northern lights. Follow a trail into the open country outside of Reykjavík, with breaks to warm up with hot drinks and watch for the northern lights. The lights are an unpredictable natural phenomenon, but Iceland is among the best places in the world to spot them, even near Reykjavík. If the bright splashes of color appear, you’ll see the lights reflected in Lake Hafravatn, and highlighting the skyline of Mount Hafrafell. You’ll ride to scenic overlooks with views back towards the city lights, and see the northern stars appearing over the mountainous terrain. At the end of the ride, return to the ATV base camp for the trip back to your Reykjavík hotel, where this tour concludes. This was one of the highlights from our trip. So exciting and so much fun!! Everything was a lot of fun but unfortunately it was too cloudy to see the Northern Lights. This tour was fab and definetly worth doing.  This was another great experience of our trip. 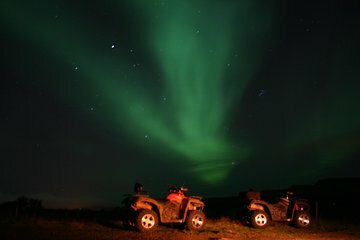 While we didn't see any northern lights due to inclement weather, the ATV tour and ride at night was still a wonderful experience. The guide was knowledgeable, and safe. It was an incredible experience driving around Iceland on ATVs at night. I strongly recommend. We unfortunately did not get to see the Northern Lights, but after this tour I didn't mind! The tour guide was friendly, informational and was great with communication pick-up times, etc... to us. Next time I'm in Iceland, I will definitely be rebooking! The guy was so nice and helpful, we really enjoyed our time with this tour and had a blast! !